Matt Larkin of The Hockey News: Chris Kreider expects to fetch quite a return but will New York Rangers GM Jeff Gorton make a deal? That is the question. Kreider earns $4.625 million for one more year on his current contract. Also, he is on pace for 30+ goals and is a power forward with the complete package. Kreider peaking right now would garner maximum value. He becomes a free agent after next season when Kreider will turn 29. Deciding on Kreider much like Zuccarello and maybe Hayes comes down to Monday more than likely. Who stays and who goes? Kreider is the most likely to stay, for now. Again, that remains the same. Needs are straight forward for Montreal. They want a defenseman who can help on the power play. Also, a top-six winger who shoots left is desired. Finally, a backup goaltender who is more reliable than Antti Niemi. The winger costing a good bit is expected. The other needs would cost less. Giving up a prospect seems foolhardy as well as any of the top draft picks. Expect nothing major from Montreal. Luke Fox of Sportsnet: Toronto’s wish list is simple. They want a right defenseman who can kill penalties and move the puck out of the zone. Adam McQuaid is the only expiring player left who fits that criteria. Dubas seeks a defenseman with term. Furthermore, Toronto likes the idea of a middle-six winger that’s a power forward. 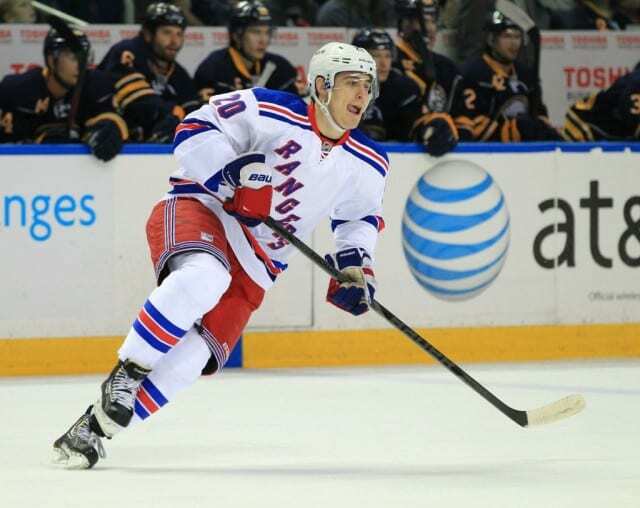 Micheal Ferland and Wayne Simmonds fit that bill but what about Chris Kreider? Kreider carries one year of term at a reasonable salary. Toronto might add a bottom-six forward or backup goaltender but a backup does not have to come until the summer. As for forwards, Kyle Clifford or Luke Glendening remain possibilities.